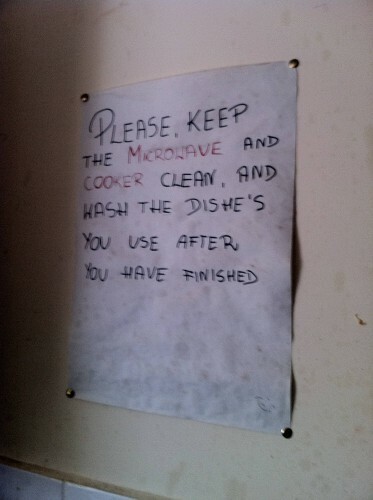 This was in my friend’s kitchen, they tell me the landlord wrote it. Not sure though. Tagged with cooking, dishes, food, kitchen, microwave. Hahaha… Don’t worry – I washed my own dishe. Wouldn’t that be the big tipoff to the writer?!?!? this is why everyone needs to carry around a red pen with them….